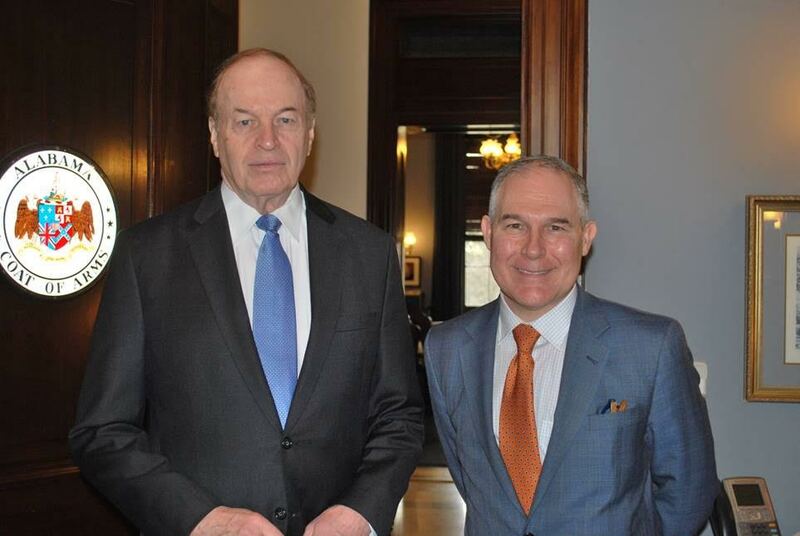 The U.S. Senate Friday confirmed Oklahoma attorney General Scott Pruitt to head the Environmental Protection Agency (EPA) with votes from Alabama Republican senators Richard Shelby and Luther Strange. Pruitt was confirmed in 52-46 party-line vote, with Democratic senators Heidi Heitkamp of North Dakota and Joe Manchin of West Virginia, also voting in favor of him. Alabama’s newest senator, and Pruitt’s former AG colleague, Luther Strange, praised the new EPA Administrator saying Pruitt has seen “first-hand the devastation that rivers of red-tape can create” and is excited about the work he will do in the position.